Opening with the provocative query "what might an anthropology of the secular look like?" this book explores the concepts, practices, and political formations of secularism, with emphasis on the major historical shifts that have shaped secular sensibilities and attitudes in the modern West and the Middle East. Talal Asad proceeds to dismantle commonly held assumptions about the secular and the terrain it allegedly covers. He argues that while anthropologists have oriented themselves to the study of the "strangeness of the non-European world" and to what are seen as non-rational dimensions of social life (things like myth, taboo, and religion),the modern and the secular have not been adequately examined. The conclusion is that the secular cannot be viewed as a successor to religion, or be seen as on the side of the rational. It is a category with a multi-layered history, related to major premises of modernity, democracy, and the concept of human rights. This book will appeal to anthropologists, historians, religious studies scholars, as well as scholars working on modernity. Opening with the provocative query "what might an anthropology of the secular look like?" this book explores the concepts, practices, and political formations of secularism, with emphasis on the major historical shifts that have shaped secular sensibilities and attitudes in the modern West and the Middle East. 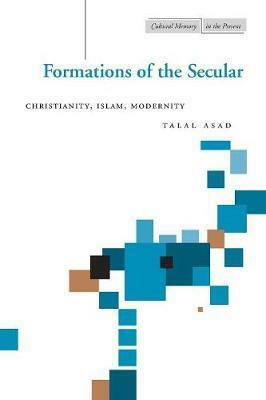 Talal Asad proceeds to dismantle commonly held assumptions about the secular and the terrain it allegedly covers. He argues that while anthropologists have oriented themselves to the study of the "strangeness of the non-European world" and to what are seen as non-rational dimensions of social life (things like myth, taboo, and religion), the modern and the secular have not been adequately examined. The conclusion is that the secular cannot be viewed as a successor to religion, or be seen as on the side of the rational. It is a category with a multi-layered history, related to major premises of modernity, democracy, and the concept of human rights. This book will appeal to anthropologists, historians, religious studies scholars, as well as scholars working on modernity. Talal Asad is Distinguished Professor of Anthropology at the Graduate Center of the City University of New York. He is the author of Genealogies of Religion.